The fields, forest and farm of Torpa Gård lie next to the southern shore of Lake Boren. 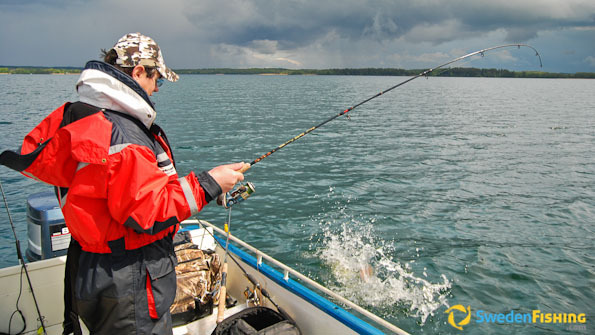 Here the sport fishing is pleasant in that it is easy to use boats to reach the coves and reed clumps offering excellent spin-fishing. 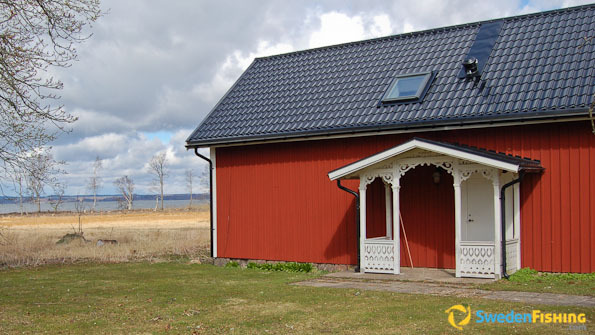 Based on Torpa Gård you can in addition to Lake Boren reach four lakes nearby waters, including the Svartå River and Lake Roxen. You are most welcome to be part of our comfortable fishing and to enjoy our lovely natural setting. At Torpa Gård we speak Swedish and English. Torpa Gård is open all year. Spring and autumn are the best seasons for true fishing enthusiasts, while the summer is perfect for glorious family fishing. When the ice is thick enough, wintertime offers ice-fishing as well. There is a broad list of other activities at Torpa Gård, ranging from adrenaline pumping motor sports to nature experiences such as canoe tours and bicycle excursions. The town of Vadstena founded in the 13th century lies nearby, as do the museums and shops in Motala and Linköping. Today Torpa Gård is one of the largest family owned resort and event facilities in southern and central Sweden. Pike and perch are native to Lake Boren, but are also found in Svartå River, as well as lakes Roxen and Norrbysjö. In the spring of 2011 a pike was hooked in Lake Boren measuring 121 cm. Today Torpa Gård has 4 aluminium boats: one – 4.9 m, 25 hp; two – 4.5 m, 15 hp; and one – 3.95 m, 15 hp. There are two plastic boats with 15 and 25 hp, as well as six rowboats with electric motors. A fishing guide for Lake Boren must be reserved two days in advance. A fishing equipment shop is located 5 km from Torpa. At Torpa Gård its Lake Boren that counts for fishing, preferable with spinning rod, but even fly-fishing. Some of the other nearby fishing waters offer slowly running waters suitable for both spin- and fly-fishing. Here we recommend slowly sinking jerk baits in bright colours. During the winter ice-fishing is offered in Lake Boren. From mid-July through mid-September Torpa Gård can offer cray-fishing. Catch & Release is the rule here, with the exception of fish for eating during the fishing week. In the latter case a six-person group can keep 2 pikes and 10 perches for each week. 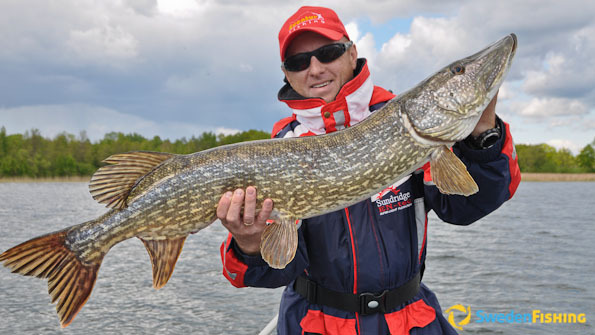 Pike maximum  65 cm; perch maximum  35 cm. Self-catering flats, one with 3 beds, one with 6 beds – both around 100 m from the lake with a view of it – and one 6-bed flat right by the hotel. The flats are fitted with shower/WC, kitchen with refrigerator, freezer, fan, stove and micro, as well as central heating. Grills are available for all flats. The Torpa Gård Hotel is located app. 1 km from Lake Boren. Its 23 double rooms have shower/WC in all rooms and the breakfast buffet is in the same building. Torpa Gård is located app. 30 km NW of Linköping Airport and app. 15 km SE of Motala. For other places than Linköping, we would recommend Skavsta Airport some 130 km NE with bus to Linköping where we can pick you upp. Jönköping is app. 130 km S of Torpa.